How to Check If iPhone is Unlocked Without Sim Card? Some iPhone manufacturers used to lock their device with the particular signal carriers. Apple does not lock with any Sim card. It is an unlocked device and it is more expensive when compared to other iPhone providers in the market due to this feature. Here in this article let us learn how to check whether the device is unlocked without Sim card. 1. Why need to unlock iPhone? Unlock iPhone matters a lot. If the iPhone is locked, then it is narrowed to a particular signal carrier. If it is unlocked then the device can adapt with any signal carriers as per your desires. Checking whether the iPhone is unlocked without Sim card is necessary if you want to go ahead with a new signal carrier. If the device is unlocked then you can switch on to the latest signal carriers and enjoy the benefits without any regrets. You have to unlock your iPhone to use the latest signal carriers. You have reached a right place to verify whether the phone is unlocked without Sim Card. Have a glance at the methods discussed below for better understanding. First, you have to know to trace your IMEI number. You can find the IMEL number series at the back of your device. 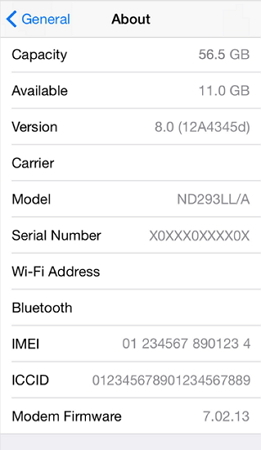 Unlock the device and go to ‘Settings’ and proceed with ‘about’ option to view the IMEI number. Open the iTunes platform by connecting your device with the computer and click on the device summary in the iTune page in order to witness the details of the IMEI serial number. You can find the IMEI serial number on the Sim card tray. When you are sure about the IMEI serial number of your device then you can check that the iPhone is unlocked using this number. Go ahead with the CTIA accredited IMEI checker which surfs the Apple‘s GSX database to know about this unlock status. This service is available for free and few cases they may charge to find out this detail from the Apple’s GSX database. You can also find this IMEI checker run with GSMA blacklist and whitelist check and will assist you to resolve the signal carrier issues. Using IMEI serial number you will be able to know the iPhone is unlocked with the Sim card. Make use of the IMEI checker feature to achieve this task optimally. You can make use of ‘Settings’ option to know whether the iPhone is unlocked with the Sim Card or not. Look at the guidelines below as a reference. Step 1: Unlock your device ad go to the ‘Settings’ option. Step 2: Open the Phone settings and tap on the ‘Cellular data’. 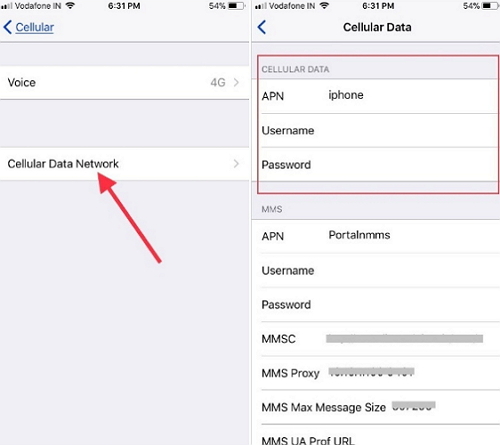 Step 3: In this option you can identify ‘Cellular Data Network’ feature. If this option is available in your device then it states that your iPhone is unlocked and you can use any signal carrier as per your desire. In case, this option is unavailable in your device then your phone is locked to a particular cellular network and you will not be able to use other Sim Cards. Your choice gets narrowed because of this lock set. If you want to unlock iPhone in order to access necessary data or apps, or if you want to switch to some other signal carriers, then make use of the three given methods. Suppose if your device is synchronized with the iTunes platform then you can connect with this mode even when ‘Find my iPhone’ feature is disabled. You can also make use of iCloud platform to resolve this issue if you have enabled the ‘Find my iPhone’ feature. If both the methods doesn’t work for you then launch the recovery mode to unlock your device. It is a best technique to overcome this issue in an optimum manner. Therefore, it is necessary to check whether the device is locked or not for better usage. Initially verify the settings and later try to unlock your device if it is in the locked state. Make use of the above discussed three effective techniques to release the lock in your device. Choose the right method as per your convenience. The locked devices narrow down the options and you will not be able to enjoy the complete benefits of the iPhone. Unlocked device enables you to access different apps and you can get connected with the latest signal carriers with best quality services. Expand your options by unlocking your iPhone in an effective manner. Follow the guidelines provided in order to unlock the device successfully. Get rid of the locked devices and choose your desired cellular network in the market.